Quentin’s story is phenomenal! He was the first placenta-cord blood transplant recipient and his transplant saved his life. No child’s parents are willing to watch their kid suffer. Banking placenta and cord blood gives families more reassurance and more options if something were to go wrong and stem cells were a viable option to save the child’s life. When considering cord blood banking, it is important to find the right cord blood bank that will offer you the best options for your money and a company that you and your child’s doctor will be able to trust. During my first year of blogging I shared my own story of banking my daughter’s cord blood and how we eventually chose to donate it for research after we learned she has Sickle Cell Anemia. We made the decision when we realized that her cord blood probably would not be as useful to her as we would have liked. Currently, statistics state that a child will have a 1 in 400 chance of ever using his or her cord blood, but what if that 1 time would make a world of difference, just like in Quentin’s case. I know as a parent, I would want to have healthy cord blood on hand if I ever needed it. Over time, scientists are learning more, conducting more experiments and doing research that is changing lives on a daily basis. One of the largest reservations I had when it came to cord blood banking was the cost. Why is it so expensive? Am I paying all this for nothing? When you agree to bank your child’s cord blood the money goes towards the cost of collection, testing the sample sent in, processing the sample, storing your child’s cord blood, operating the facility where the sample is kept, and helping the facility stay on top of all the legal checks and balances that must be in place. Typically banking your child’s cord blood can cost thousands of dollars. If you are pregnant or plan to be you can start putting away money now to cover the cost. A couple of weeks ago there was an article circulating on Facebook about adult patients being cured from Sickle Cell Anemia after receiving a stem cell transplant from a relative without undergoing chemotherapy. 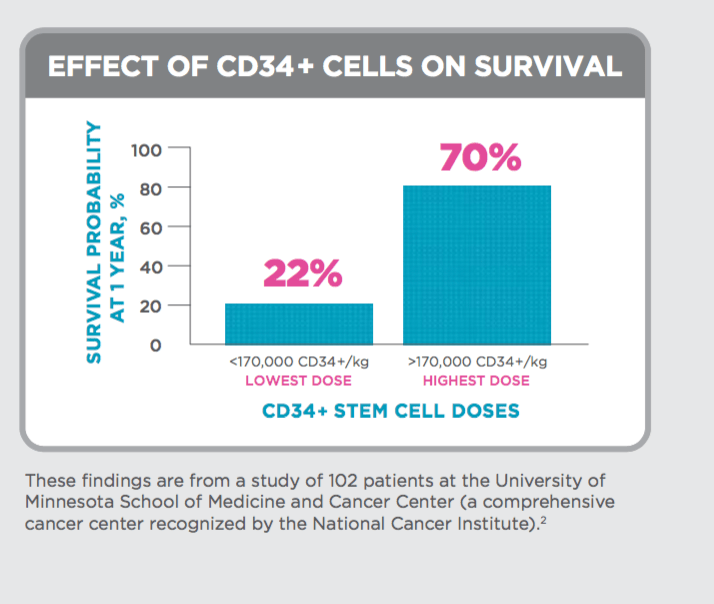 Thankfully, the advances in science is truly helping sickle cell and cancer patients in a remarkable way. It’s also reassuring to know that their has been over 26 years of stem cell transplants in more than 30,000 patients across the world. 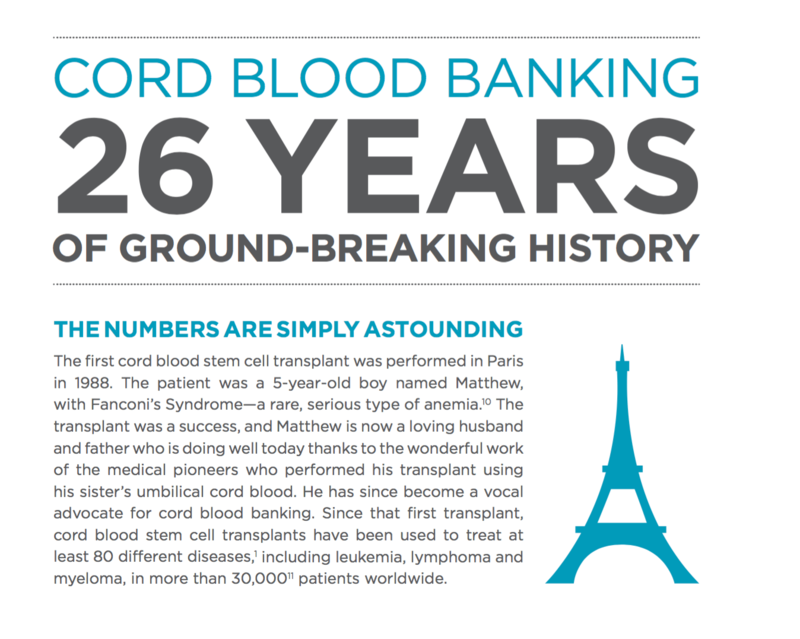 Cord blood banking might sound new, but it has been a part of science and treatment for many decades and will continue to save lives and provide more patients with life-saving treatment options. If you are seriously interested in learning more about cord blood banking, call and speak to a representative who can answer your questions specifically.